The FWATA Public Relations Committee is pleased to announce the winter quarter winner of the Excellence in Athletic Training Award. Each quarter, the Excellence in Athletic Training Award celebrates District 8 athletic trainers or athletic training student members who display an exceptional commitment to mentoring, professional development or enhancing the quality of health care. This quarter’s winner is Jill Wosmek, MA, ATC. 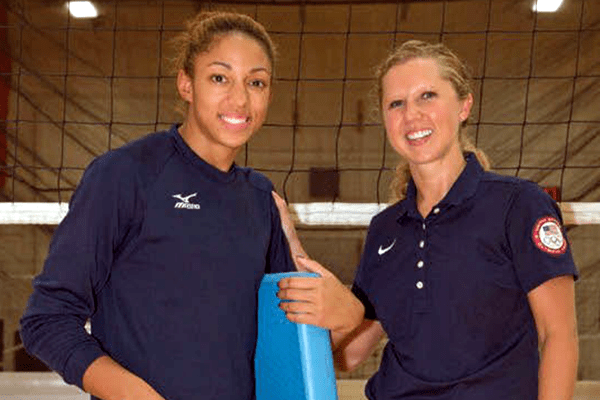 Jill has been the Head Athletic Trainer for the USA National Women’s Volleyball Team since 2009 and will be traveling to Rio with the team for the 2016 Summer Olympics. Please join us in congratulating Jill on winning the Excellence in Athletic Training Award. Athletic Trainer to the U.S. Men’s National Team submitted the following letter recommending Jill Wosmek. The Far West Athletic Trainers' Association (FWATA) is comprised of athletic trainer associations from California, Nevada, Hawaii, Guam and American Samoa under District 8 of the National Athletic Trainers' Association (NATA). FWATA strives to improve the quality of health care for athletes, patients and clients and enhance the profession of Athletic Training, through leadership, education, and cooperative efforts with other organizations and allied health professions.